Maybe not all of us will understand the desperate need to own a million pairs of shoes in our lifetime. But sneaker heads, we are here for you, with every single hot release in the shoe market. This one is definitely no exception. 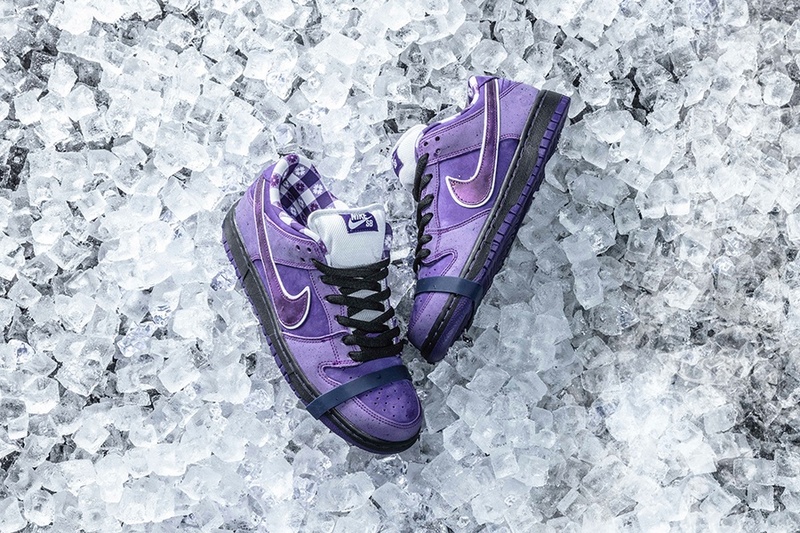 On December 14, Cambridge-based Concepts and Nike SB will be celebrating 10 years of collaboration by releasing their newest installation, the SB Purple Lobster Dunk. The shoe is an update of the two brands’ original collaboration, the Red Lobster, which was a vivid red color, and wrapped in rubber bands to resemble the claws of the intrepid crustacean. Each pair of shoes sold comes with three sets of shoelaces, and yes, two sets of lobster claw rubber bands. They retail at $130 and are available in men’s sizes both online and exclusively in Concepts locations in Cambridge and New York City. $130, Concepts, 37 Brattle St., Cambridge, cncpts.com.